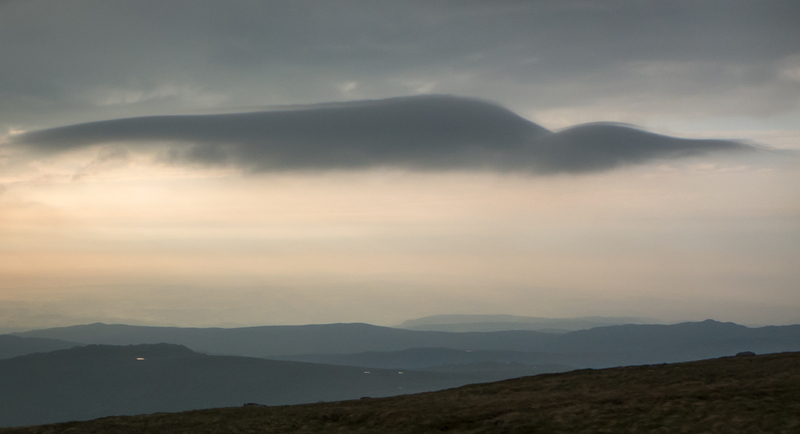 While packing up early yesterday morning from an overnight camp in the Carneddau, I saw these distinctive strange-looking clouds. 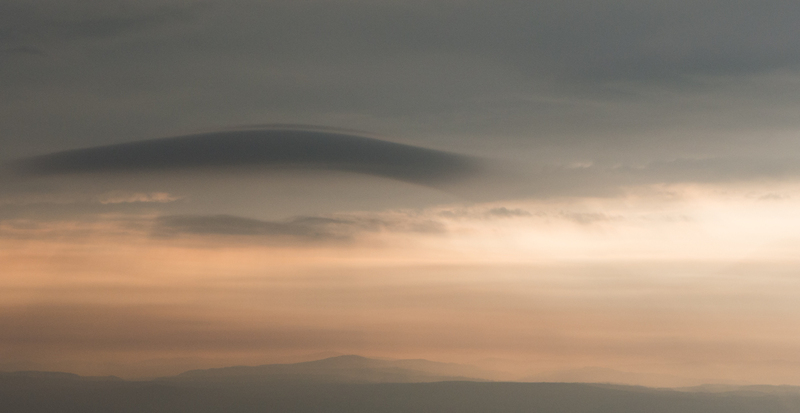 I *think* they’re some kind of Lenticular formation – but they didn’t hang around long. 10 minutes after taking this, they’d dispersed. These were taken from above the Dulyn reservoir, in the lee of Foel Grach. There was just a light breeze.